INDIANAPOLIS -- The fall season may have just begun, but the countdown to when the first snowflakes will fly is already underway. So, what can we expect this year? Typically, the first snow flies in the middle of November across central Indiana. This winter, meteorologists say it’s possible La Nina – a cooling of water in the central and eastern Pacific - will play a role in our weather. Mike Ryan, a meteorologist with the National Weather Service, says he is expecting a lot of variability in both temperatures and precipitation, with an active storm track through Indiana. Temperatures will be key in whether that means more snow or rain. 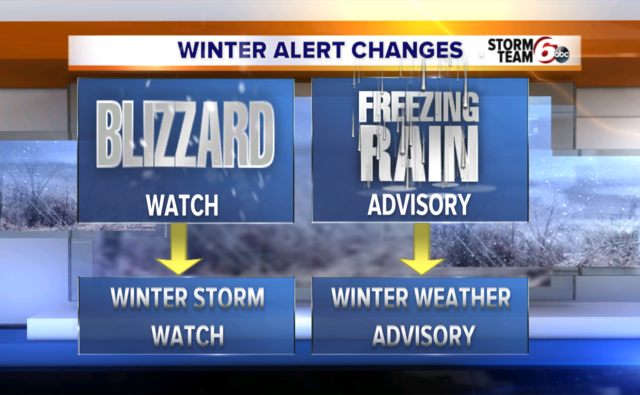 When wintry weather does hit, there will be a couple of changes from the National Weather Service. They will no longer issue Blizzard Watches or Freezing Rain Advisories. Instead, opting for Winter Storm Watches or Winter Weather Advisories in an effort to make alerts easier to understand. The changes to the alerts go into effect October first.